Deacetylase Inhibitor Cocktail is a synergistic combination of chemicals designed to preserve the acetylation state of proteins. Phosphatase Inhibitor Cocktail I effectively inhibits alkaline phosphatases and serine/threonine protein phosphatases such as PP1 and PP2A. Phosphatase Inhibitor Cocktail II effectively inhibits acid and alkaline phosphatases as well as protein tyrosine phosphatases (PTPs). Protease inhibitor cocktail EDTA free is used in cell lysates or tissue extracts to increase protein stability. Protease inhibitor cocktail (mini tablet) is used in cell lysates or tissue extracts to increase protein stability. 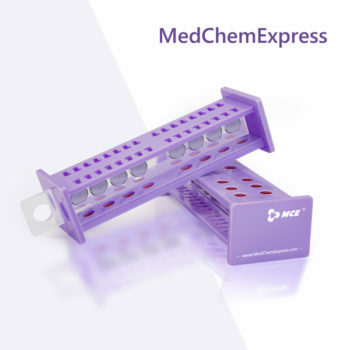 Protein A/G Magnetic Beads provide a fast and convenient method for Immunuoprecipitaion and Co-Immunoprecipitation and Chromatin Immunoprecipitation.